Cakes, cheesecakes, cookies, pies, cake bites, cupcakes, brownies, macaroons and cookies! THIS IS JUST A SAMPLING OF PRICES AND SELECTION. PLEASE VISIT DEBS WEBSITE FOR MORE INFORMATION. All prices are before tax and are subject to change. Wedding Cakes - Prices are based on how many people the cake serves, based on the Wilton Cake Guide. 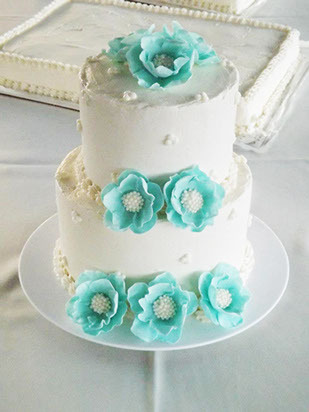 As each wedding cake is unique, prices vary depending on detail. ~ a $50 (non-refundable) deposit is required to hold the date. Sheet Cakes - Prices include a premium filling and Buttercream, Cream Cheese, or Whipped Cream frosting. Celebration Cakes - Cakes include premium filling and frosting, excluding fondant. Cupcakes - Choice of cake and frosting, excluding fondant.